A Learning Story is a retelling of the learning process from the point of view of each learner. 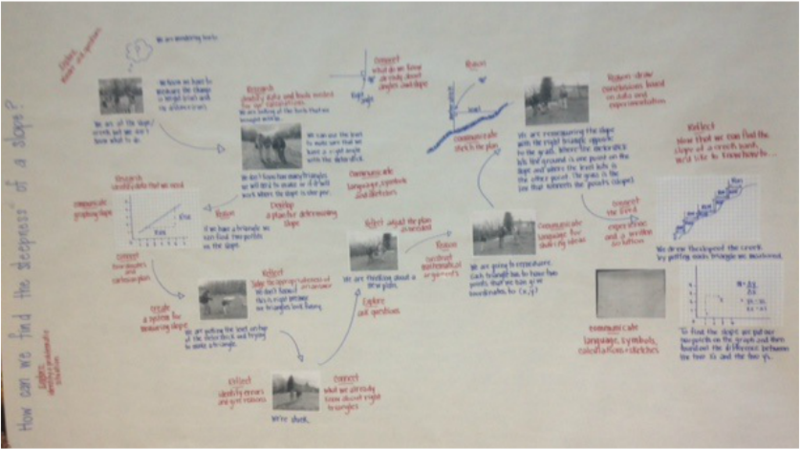 The story begins with the initial question and traces the steps each learner took on their way to their solution. The story can be difficult to draw because so many things are often going on all at once. Each story is incredibly unique as no two learners are drawing out the same path. 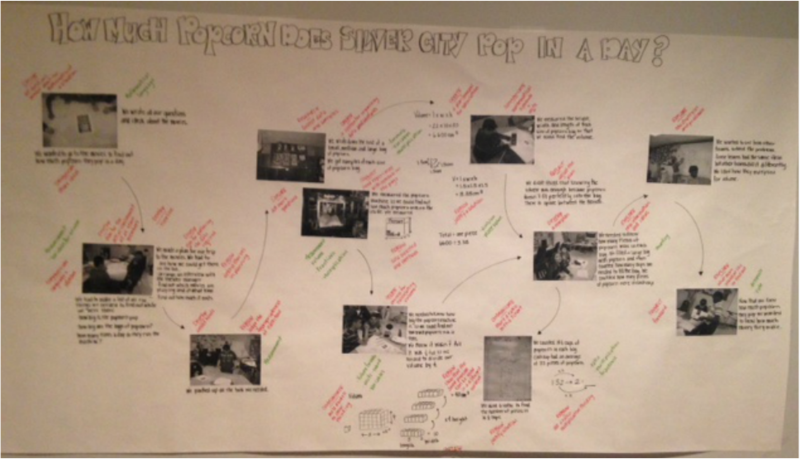 A learning story retold by a student or a student team can serve as a valuable assessment tool. Within each story evidence of the specific mathematical content and the problem solving processes can be found. Mistakes are included as loops and detours when learners pursued a path that did not take them where they had originally planned. 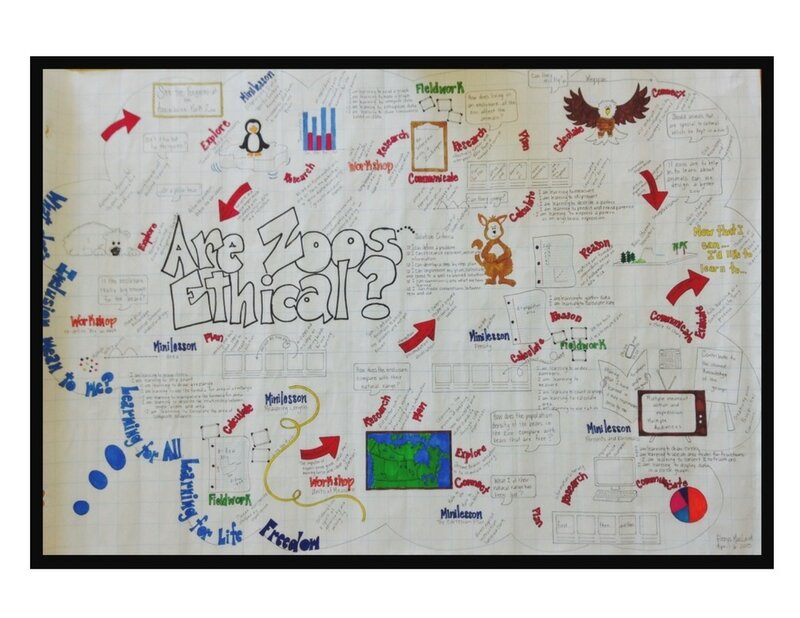 These paths tell how learners deepened their understanding of why another path was needed. Photos and work samples are included in the story as reference points. 1. What did you do? What made you decide to try that? 2. What questions were you and your team asking at each step along the way? 3. How did you answer those questions? 4. What math were you using and learning along the way? 5. What strategies; explore, research, develop, create and construct, communicate, reason, connect and reflect, were you using along the way? How can we show the steepness of a slope?